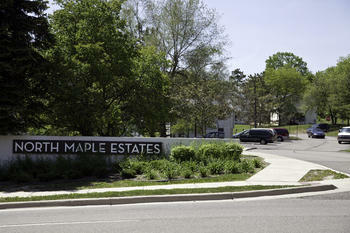 North Maple Estates housing project to see addition of environmental public art display. WEMU's Andrew Cluley reports environmentalism and public art merge at North Maple Estates. Ann Arbor's shift from public housing to a voucher based program is being helped by changes in federal policies. Washtenaw County is receiving about $2.6 million in US Housing and Urban Development Grants. 89.1 WEMU's Andrew Cluley reports on federal grants to fight homelessness in Washtenaw County by keeping people in permanent homes. When the city of Ann Arbor closes on the sale of the old Y-lot $600,000 dollars will be transferred to the Ann Arbor Housing Commission to help finance renovations at the organizations five largest properties. The projects are the first of the commission’s properties to transition from traditional public housing to a voucher based program.